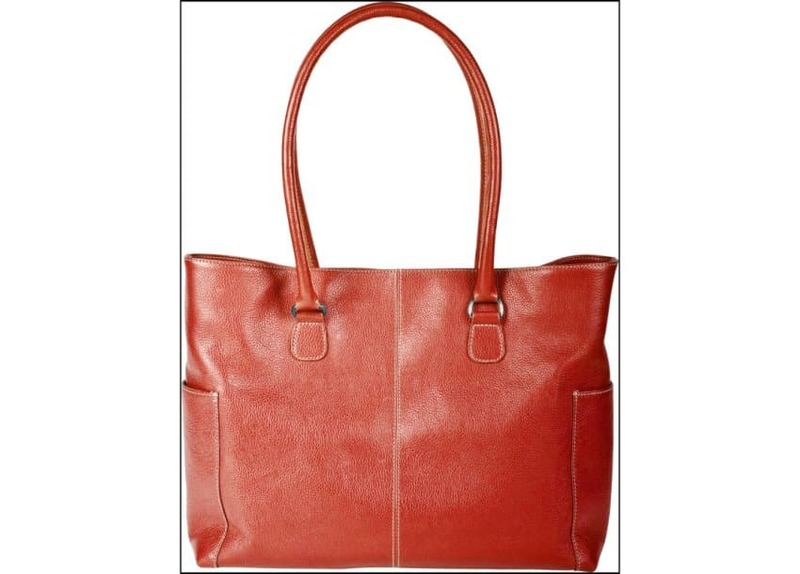 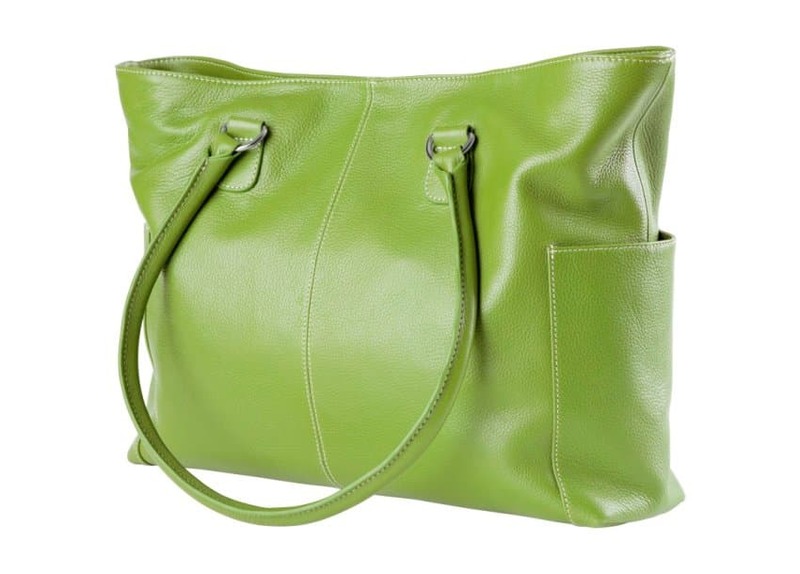 Add a spark to your wardrobe with this casual pebble-grain Malibu tote. 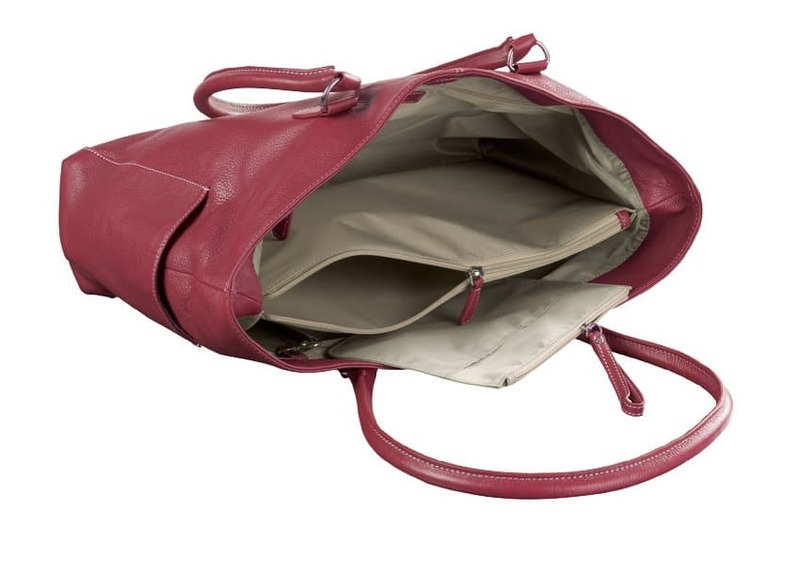 The roomy inside compartment is divided by a centre zippered pocket for secure storage. 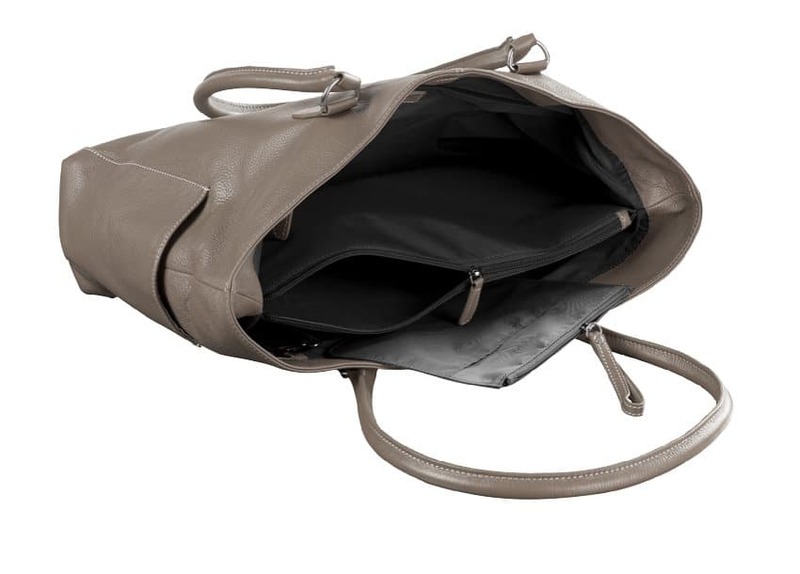 Designed-in features like mobile phone and accessory pockets and an attached key fob make this the bag you'll reach for every day. 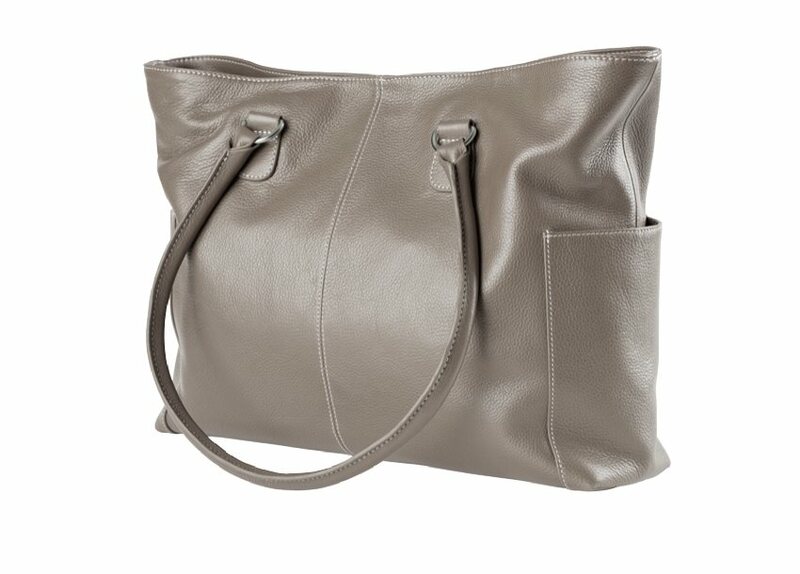 High-visibility beige lining, magnetic top closure, silver-tone hardware. 2 exterior open pockets keep your favourite magazine, umbrella, or water bottle easy within arms length. 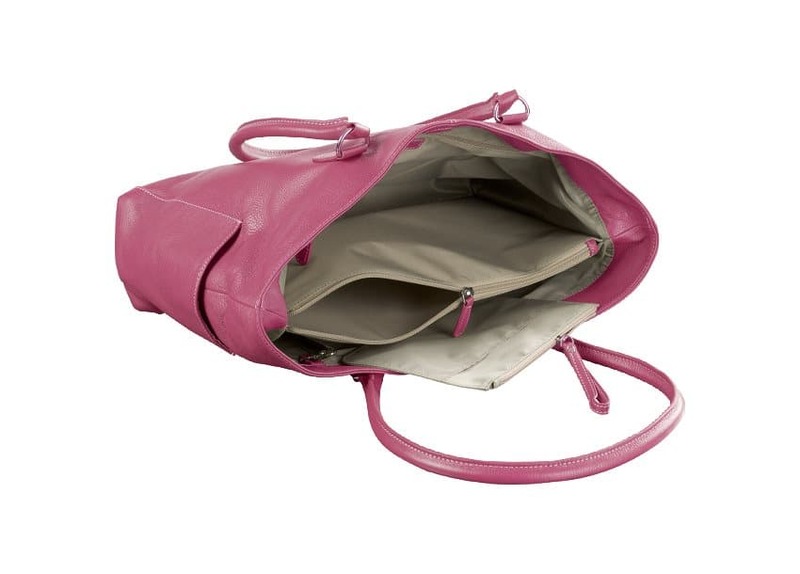 A removable nylon case holds cosmetics, tissues, and other small personal items. Double leather shoulder straps have a 229mm drop.